Jim Gavin said that he is pleased with Dublin’s league form even though they missed out on a Division 1 final for the first time under his management. 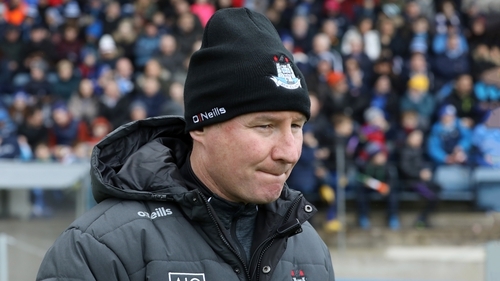 Dublin’s six-point win over Cavan brought a disappointing league campaign to an end, but Gavin said that he is satisfied with his team’s performances this year. "There’s been some really competitive matches, including today, and it’s been great for the guys. We’ve got a lot of time into a lot of players. Overall, looking back on it I think we scored an average of 17 or 18 points a game and in Division 1 of the league you’ve got to be pleased with that," Gavin told RTÉ Sport. Attention for Dublin, and for the rest of Ireland, will now turn to club football and Gavin claimed that club form will play an important part in his selections for the Championship. "There’s actually a round of club games next Sunday morning that all the guys here will be playing in and we’ve already got some players who are outside this squad that we want to have a look at, players that were in the squad back in January. The door will always remain open for players who put their hand up with their clubs." Asked about whether Diarmuid Connolly has a place in his plans, Gavin was typically tight-lipped; saying that the door is open for anyone who is playing really good club football. "Again, we’re fortunate to have a really good standard of club football in Dublin," Gavin said. "One or two players we’ll have a look at this weekend and we’ll catch the rest of them during the first round and second round of the Championship. So, certainly the door is open for everybody."